Determine if there is a special function that is important to you. Do you prefer a power recliner over a manual or push-back recliner? Would you enjoy a recliner that is also a glider for extra comfort and movement? Some recliners even feature built in USB ports to keep your charging electronics close! Think about the space in your home where your recliner will live. Is the space large, small, or versatile? Do you have any restrictions? You'll want to ensure there is enough space around the recliner for it to fully recline without hitting a nearby piece of furniture or structural piece of your home. Is there a specific look or style you prefer? Each brand varies, but some offer options for leather or fabric choice, finishes choices, and even nailhead trim options. From casual, to contemporary, to traditional, we have a little bit of everything, so you're sure to find a recliner to matches your style. Shop a large selection of recliners and all available options at Belfort Furniture! 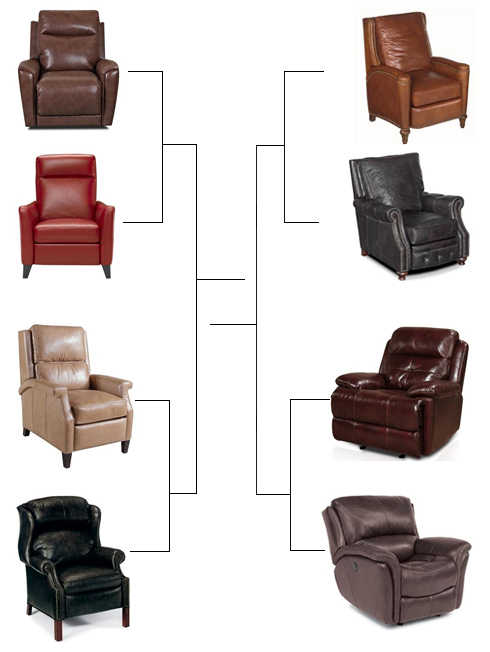 Start in building #4 for our main selection of recliners and visit building #3 for some additional styles, too. Our experience design staff can help you select the best recliner for your needs and style. Conveniently located in Dulles, Virginia, Belfort Furniture is the place to create beautiful rooms for your home.